Using permaculture design principles we create beautiful landscapes that are both beautiful and functional. Our priority is to design spaces that reflect our client’s dreams and preferences. We install sustainable irrigation solutions such as: drip irrigation and grey water to help in reducing water use. Greywater is the filtered water that comes out of the drains of showers, sinks, and washing machines and is used for watering landscape. Proper management of native gardens sustains the quality and health of the plants and preserves the intended design concept. We provide customized garden maintenance programs to fit your time and budget. Smart Yards is an ecological landscaping co-operative based in San Jose, California. We design and install sustainable landscapes that are easy on the planet, enjoyable for families, welcoming to the community, and economically feasible. Our goal is to create sustainable urban spaces that are regenerative and cost-effective for residents in Santa Clara County and beyond. As a cooperative Smart Yards is democratically operated under the principle of one member one vote. Decisions are made democratically including the wages and profit sharing. We apply permaculture design principles to create sustainable landscapes that provide for human needs and foster biodiversity and resilience. Permaculture seeks to minimize waste, human labor, and energy input and maximize benefits between design elements to achieve high level of synergy. These principles guide us to creatively design gardens based upon whole-systems that mimic the patterns and relationships we observe in nature. Clients are given solutions that reflect their personal aesthetics, culture, values and pocketbook. Susan Harman has been an activist for justice for most of her life. Currently she works for Commonomics USA, and is a member of Strike Debt Bay Area, Civilize the Cops, the Bay Area Civil Liberties Coalition, Code Pink, and the Oakland Privacy Working Group. She lives in Oakland, and visited the Mondragon Cooperatives Corporation in June 2014. Rev. 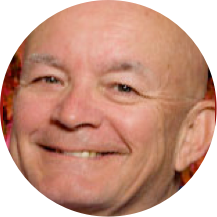 Dale Bracey, a Pastor of the Presbyterian Church (USA) involves himself in groups that work for the underpaid and marginalized workers who are being exploited by the current American economic system. He leads the South Bay Sanctuary Covenant supporting Salvadoran refugees who flee to this country out of fear for their lives. He serves with the Low Wage Worker Committee of the Council on Economics and Justice and supports local unions trying to win better wages and working conditions for hotel workers and airport shops. He believes worker coops improve the lives and skills of workers and gives them opportunity to manage their work while also promoting new coops. Richard Hobbs is a human rights attorney and founding Director of Human Agenda, a human rights organization based in San Jose, CA. Human Agenda focuses on vision, cooperatives, immigrants, constitutional and human rights, and the solidarity economy. 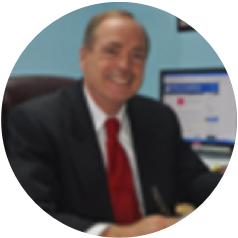 An immigration attorney, Richard has MA degrees from the University of Mexico in Mexico City (UNAM) and San Jose State University (SJSU) and a Juris Doctor from Golden Gate University. He served as the Director of the Office of Human Relations of Santa Clara County and also was an elected trustee for 16 years for the San Jose-Evergreen Community College District. 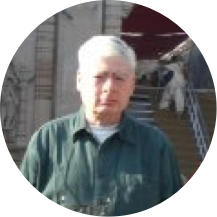 Gerald Hunt is a retired CPA with 4 years of Big 6 experience auditing newspapers, franchise operations, Great Lakes shipping operations, steel and titanium foundry and rolling operations, steel and gold mining operations, and electronics manufacturing. In electronics manufacturing he worked in fiber optic, semiconductor, circuit board, component, and computer assembly plants including installing or upgrading data tracking methodologies. He utilized process and job order costing including the collection of manufacturing data in order to initially establish standard costing as well as to update existing standards. He used flow analysis to identify and quantify variances created during flows to ascertain the consistency and accuracy of the flow. Karita Hummer, LCSW, is President and Clinical Director for FACTR (Family Alliance for Counseling Tools and Resolution), a multicultural service, research and training non-profit. Formerly Clinical Director of the Eastern European Service Agency (EESA), she is a child psychotherapist, refugee mental health specialist, and expert in childhood trauma, separation, loss, and high-conflict divorce. In addition to her 50 years of experience in the field of mental health, she has extensive experience with the design of micro-enterprise models for refugees and immigrants. She is experienced in lecturing, training and supervising mental health clinicians and interns. 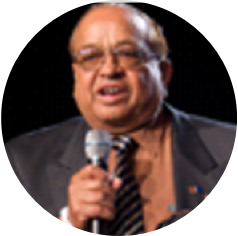 Ramji Patel is a philanthropist and a gifted international entrepreneur who took over his family business at an early age of nineteen and later ventured into retail, wholesale and import/export while tapping into UK, USA, African, Indian and Chinese markets. He landed in UK as a refuge in 1972 from Uganda and soon after started green grocery, retail and import/exports businesses with partners. In 1990 he moved to USA with his family where he worked as VP for a defense based PCB business successfully. Since retiring in 1995 he has been an active member of the community, associated with many organizations and leading many socials and fundraisers. He volunteers at India Community Center (ICC), TIE.org, AIF Foundation, Santa Clara Human Relations and Foundation for Excellence (FFE). At FFE he and his team were responsible for coordinating scholarships for 254 medical doctors, 75 engineers and 50 dentist who have completed their studies successfully with 200 more presently studying with the help of FFE in Gujarat, India. All candidates come from financially deprived families. Elizabeth Sarmiento has a deep love for nature and its innate value in our lives. 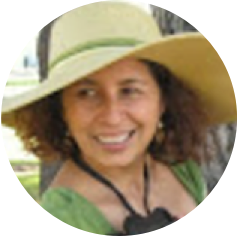 Originally from Honduras, she has a degree in Environmental Studies and a strong commitment to conservation. 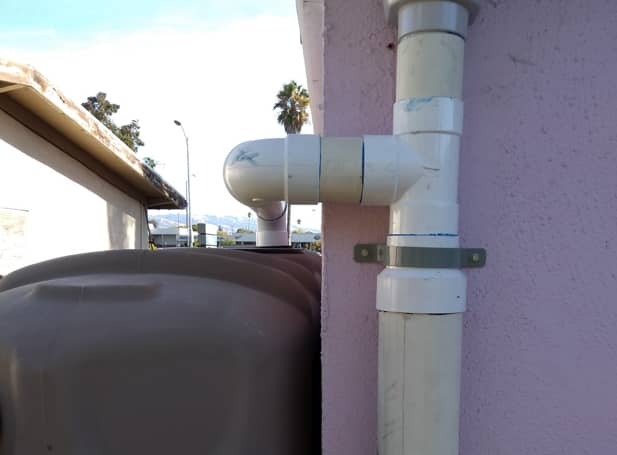 She is trained and certified with Greywater Action to design and install greywater systems. 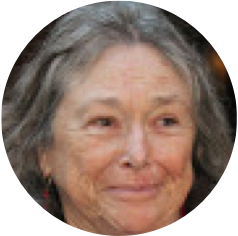 She is a certified Bay-Friendly Regional landscape designer, Santa Clara County Master Composter, Permaculture Designer, and Landscape Water Management Irrigation Training and Research Center (ITRC) Specialist. 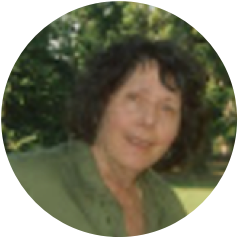 She brings her knowledge and experience in the challenges of water supply, lost habitat, soil depletion and energy demands to design, install and maintain ecological gardens and empower others with this understanding. Using ecological principles she installs native and drought-tolerant plants, drip and greywater irrigation system, rainwater systems, pervious paving, and reusable materials. Derek Tennant spent 9 years as a volunteer firefighter with the City of Santa Clara. He is a trained facilitator of the *Awakening the Dreamer, Changing the Dream* Symposium offered through the Pachamama Alliance. He presents a workshop that focuses on how we, as neighbors, can better prepare and respond to the inevitable local disaster, be it made by nature or by humans. He helped organize the 2013 *March to Heal the Valley* and the United States Social Forum in June 2015 in San Jose, where he presented a People’s Movement Assembly on conscious consumption. Rob Yanagida is an attorney and social justice activist. After working for 30 years in the Silicon Valley technology industry, he currently advises social enterprises such as cooperatives and non-profits. He is a member of the national network of Detroit's James and Grace Lee Boggs Center to Nurture Community Development. He serves on the Board of Directors of the Silicon Valley Independent Living Center, a disability justice center, the Audubon Canyon Ranch, a wild bird sanctuary in Marin County, and the national board of the National Lawyers Guild. He was on the New York State Advisory Committee to the U.S. Civil Rights Commission and was founder of Asian Americans for Equality, a long-standing advocacy and housing organization in NYC. He is a JD-MBA graduate of New York University. Jayant Mehta holds a Master’s degree in Electrical Engineering and a Post Graduate Diploma in Entrepreneurial Management. He joined AMD as a Technology Development Engineer in 1980 and then moved to become a Marketing Engineer in 1986. As a Technology Engineer he was part of the team that developed the process for 2-layer and 3-layer semiconductors and designed testing procedures to identify manufacturing process changes. In marketing he was responsible for trainings and the presentation of products to customers and sales reps across the country. In 1989 he started a Rep Company and has been managing Electronic Components Distribution and Sales for the last 25 years. In 2012 he started a Solar Design and Installation company doing residential and commercial solar projects. Rev. Chuck Rawlings is a retired Presbyterian minister who worked for many years in the civil rights movement in Cleveland. The deindustrialization that destroyed manufacturing in the mid-west led him to help lead community and worker ownership projects, including the effort to create worker-owned steel mills in Youngstown, Ohio. He is a former executive of the Santa Clara Council of Churches and the New Jersey Council of Churches and also served as coordinator of urban programs at the National Council of Churches. In New Jersey he led a United Nations Association project with Rutgers University and the National Science Foundation to document the downward pressure on wages and benefits of globalization in the Port of New Jersey and New York. Walter Hudson is a Presbyterian minister and a former tech writer who managed and worked at several food coops during college and grad school. He believes the joy and reward of work cannot be left to the current capitalist models. He has worked as an ironworker, run a dude ranch, and counseled in state prison. He believes we have to invest in and invent alternative work environments. Lorna Jones recently received a PhD in human geography focused on diaspora entrepreneurship, to understand how businesses succeed and how entrepreneurs reach their goals. She believes that cooperatives offer a valuable mechanism for communities to live, work and be sustainable in a non-exploitative manner. With a sales background in IT products, she was also the Assistant Marketing Manager at Eastridge Mall in San Jose. She has startup experience with a US company in Paris, France and was a founding member of a community horticultural and educational project in West London, which collectively farmed and sold agricultural products. 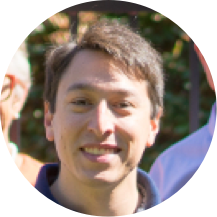 Lucas Ramirez serves on the City of Mountain View Human Relations Commission. He is an active member of both the Mountain View Coalition for Sustainable Planning and the Los Altos-Mountain View League of Women Voters (LAMV-LWV). He participates in the LAMV-LWV Housing Committee, which advocates for policies promoting affordable housing, and he also observes the Mountain View City Council as part of a team of local LWV members that promotes good and transparent government by submitting regular reports to the local League newsletter. Lucas graduated from Santa Clara University in 2011 with a degree in music.